La Casa de Pineta; Unique experiences in a unique setting. The world-famous Monte Perdido, can be seen directly from La Casa de Pineta. Families from all over the world, as well as groups and schools receive a very warm welcome. 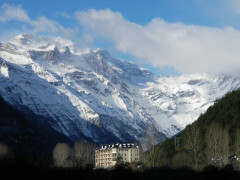 La Casa de Pineta is located in the heart of Valle de Pineta, at the gates of Ordesa and Monte Perdido's Natural Park. Just only 3 km from Bielsa. La Casa de Pineta is perfect to accommodate groups of adventurers who wanna live outdoor activities. Also, for families and groups; Kid friendly concept with public fridge, microwave, high chairs for childrens, private meadow... That allows us to ensure that it is adequate accommodation for families and groups with children. In addition, La Casa de Pineta has 4 floors with rooms on each one (rooms for 8 people, with berths). 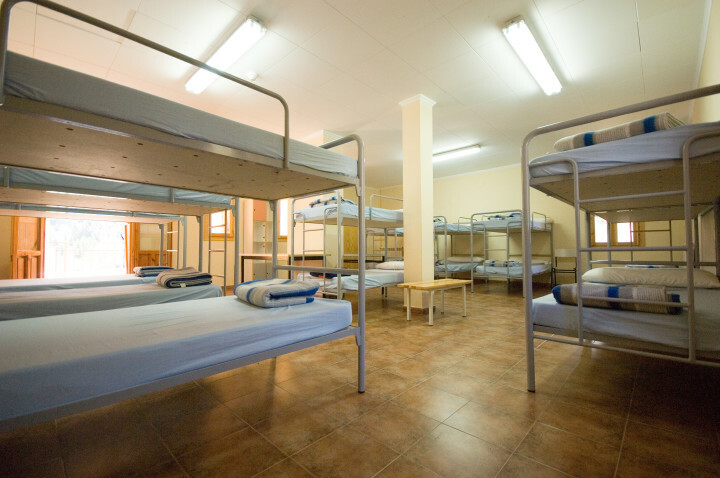 In each floor, the groups may do activities in their own activities rooms. 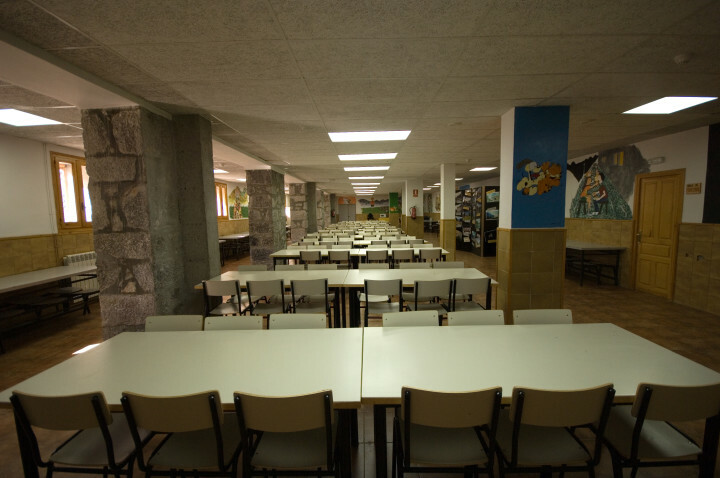 Also, has two meeting / activities rooms on the fifth floor; 100 and 400 m2 respectively. In this way, outside and inside are easily combined. Guests can enjoy half board or full board. Also request picnic to enjoy the mountain throughout the day. Free wifi around all public spaces at La Casa de Pineta. All this for an unbeatable environment where you can rest and disconnect. A place where the encounter with oneself and others is really awesome. 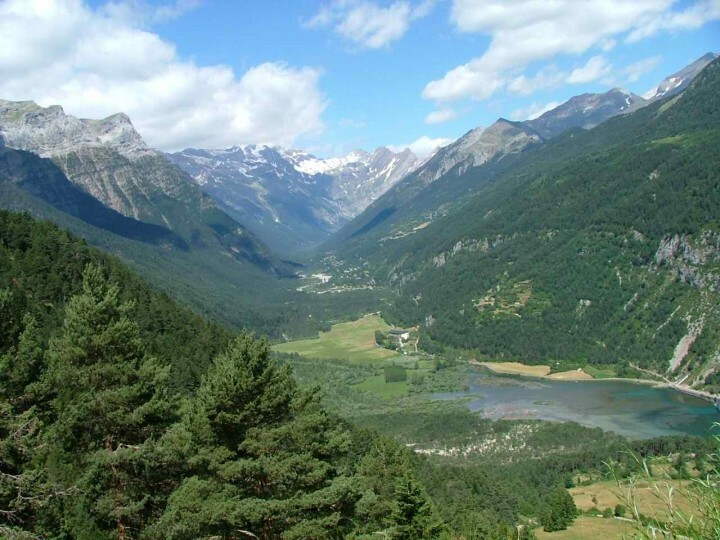 Also the chance to discover one of the most beautiful places in the Pyrenees and the opportunity to climb Monte Perdido, hike through Llanos de la Larri or simply make a bath at the Cinca’s river. Nur Bargeld wird als Zahlungsmöglichkeit in der Jugendherberge akzeptiert. Take Bus from Barcelona to Barbastro (in Sants Station) and then you have to change bus until Bielsa. La Casa de Pineta is 3 Km far away from Bielsa.